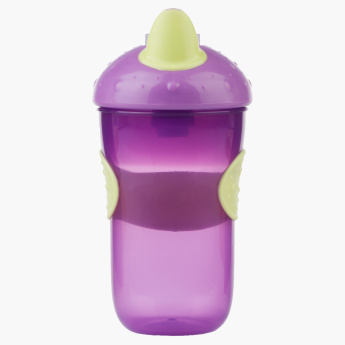 Nuby Non-Spill Sipper - 270 ml | Purple | Non-Spill. Sipping and drinking from this bottle is easy and fun for your kid owing to the style it boasts. 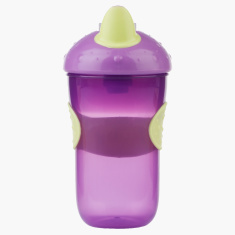 Featuring a non-spill make, the bottle is safe to handle and comes with a soft, textured grip in the centre. Feature 2 : Easy grip design helps your little one for easy hold. Feature 3 : Ideal for developing your little one drinking skill.